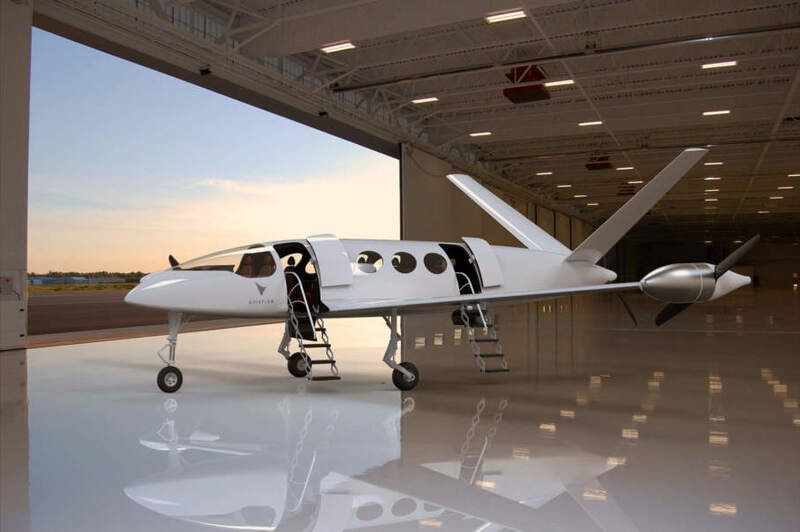 North American 3D printer manufacturer Stratasys is supporting the development of the “world’s first all-electric commuter plane,” while Belgian 3D printing company Materialise has a key role in the development of an electric race car. Based in Israel, Eviation Aircraft is racing to complete development of its ‘Alice Commuter’ to be the first all-electric commuter plane in the skies. To do so, the company has incorporated 3D printing to speed up development and reduce costs. 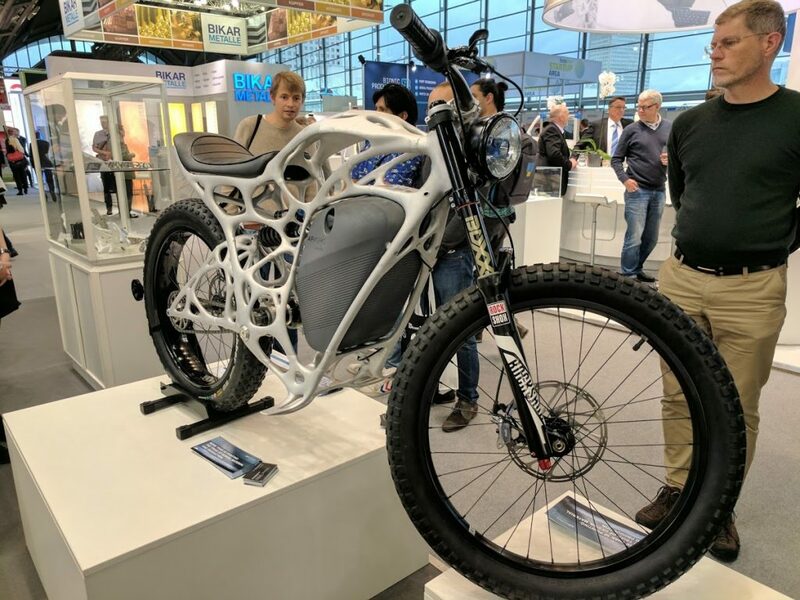 Constituting of Eindhoven University of Technology students, InMotion’s incentive to implement 3D printing is to reduce weight in all of its races. Using Materialise’s 3D printing services, InMotion has incorporated crucial metal parts in its IM/e racecar. Global information technology company Wipro is developing manufacturing applications that are built upon a blockchain and targeted at 3D printer systems. Speaking to Automation World, Wipro’s general manager and business unit leader – Sanjeev Ramakrishnan explains how Wipro has developed a blockchain system with four main offerings. These include measures for anti-counterfeiting, aerospace certification, supply chain and additive manufacturing. Blockchain as a decentralized network, resilient to malicious data tampering is seen as advantageous for data security and integrity. With cybersecurity increasingly making headlines, such characteristics are understandably appealing. Next generation cryptocurrencies such as the Ethereum platform have added another level of sophistication to blockchain, for example the ability to execute scripts that permit automated negotiation via smart contracts. 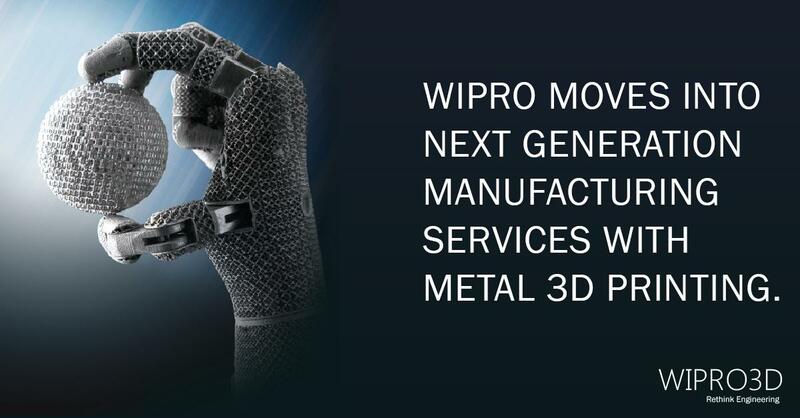 Wipro’s additive manufacturing arm, Wipro3D recently partnered with US 3D printing consultancy firm Print Form to expand the company’s global 3D printing operations. Renishaw is a busy company, lending its metrology and metal 3D printing expertise to a broad variety of applications from boats to eye surgery. One of its primary industries, however, has always been aerospace. That’s a particular area of focus right now for Renishaw Ibérica, the company’s Spanish subsidiary. Currently, Renishaw Ibérica is part of a large project known as the Futuralve project, which is geared towards the development of new, advanced materials and manufacturing technologies for aerospace turbines. The Futuralve project is being led by ITP, a Spain-based, international manufacturer of aerospace engines and turbines. Participants include a consortium of other Spanish companies, as well as universities and technology centers. It’s a four-year project, funded by the Spanish government through the Center for the Development of Industrial Technology (CDTI), and its goal is to enhance the production of high-speed turbines through advanced manufacturing and materials. In this article looking at the future of 3D printing, Karen Dubbin discusses the emerging 3D bioprinting sector. 3D bioprinting company, Aether recently appointed Karen Dubbin as science director. With degrees from MIT and Stanford in Materials Science and Engineering Dubbin is interested in biomaterials for regenerative medicine. Her work at Ali Khademhosseini’s lab in the Harvard/MIT HST program looked at developing small tissue mimics for high throughput drug testing using thermo responsive molds. 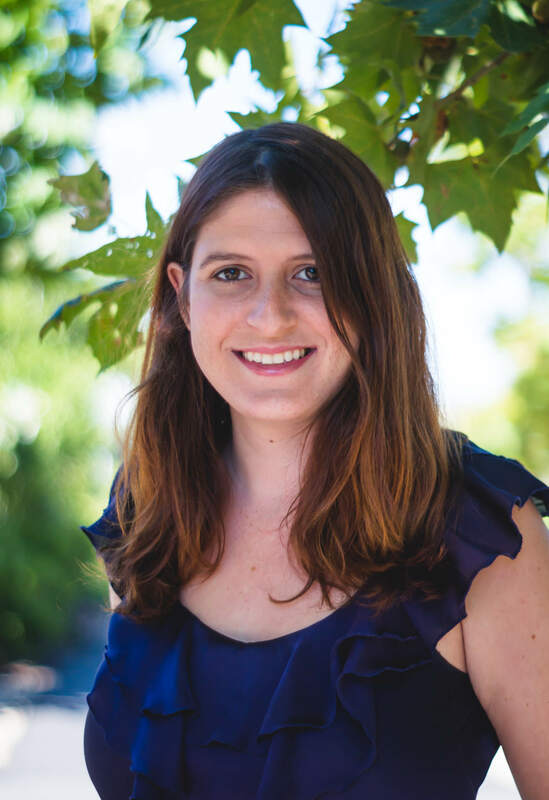 During her time with Sarah Heilshorn’s lab at Stanford, Dubbin worked on their injectable hydrogels for both cell transplantation and bioprinting applications. As science director at Aether, Dubbin is currently developing a line of bio-inks, which the company expects to be available late 2017. The market for 3D printing of thermoplastics, thermosets, and metals has grown rapidly over the past 10 years, making 3D printing more accessible to large companies, academic labs, and individuals. The development of desktop printers and decrease in the cost of hardware and consumables have led to an increase in accessibility for the technology. Simplification of design – and therefore of the supply chain – is one of the biggest benefits of 3D printing. Simulation and optimization help to develop a smaller, lighter antenna that could be made quickly. Engineers at Optisys LLC, a company that makes complex antennas for high-performance aerospace and defense applications, recently completed a project that explored the advantages of using 3D printing to manufacture such devices. They also wanted to see if simulation and optimization could help them develop a smaller, lighter antenna that could be made quickly. The test project involved a complete redesign of a high-bandwidth, directional tracking antenna array for aircraft (known as a Ka-band 4×4 monopulse array). Optisys handled every aspect of the design and printed the component in a single piece on a 3D printer from Concept Laser. A new research report by Arup Associates for the British Council of Offices has suggested that technologies such as 3D printing and virtual reality could help to make the office construction industry—and construction industry at large—more efficient. According to the report, 3D printing and VR could help to cut back on both waste and costs. More specifically, Arup Associates, a management consulting company, has indicated that both technologies could enable the British Council of Offices to meet the government’s 2025 construction strategy targets. How will 3D printing foster a revolution in both manufacturing and product development? 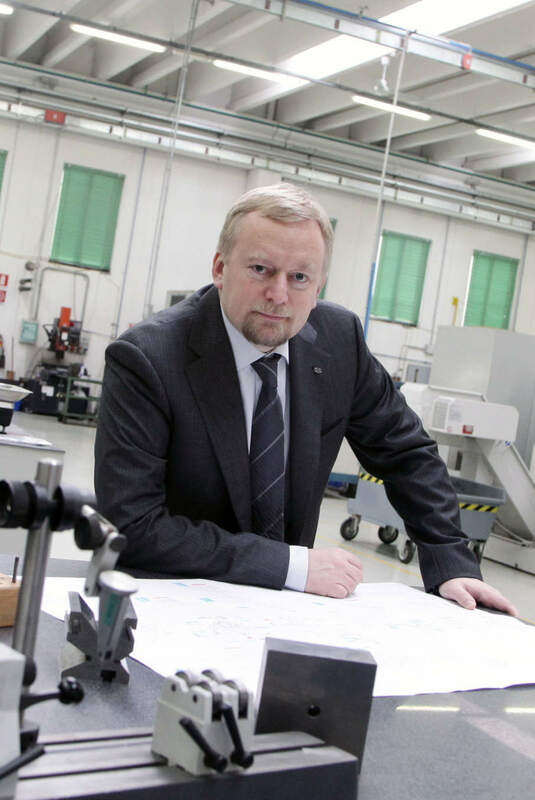 In this article looking at the future of 3D printing, the CEO of CRP Group tells us more. The majority may only have discovered the world of Additive Manufacturing and 3D printing in the last decade, but CRP Technology has been familiar with its most obscure backwaters since 1996, when the company created, in-house, one of the first 3D printing departments with professional printers for SLS, backed up by an R&D department for material development, capable of transforming rapid prototyping into rapid manufacturing. CRP Technology was among the first to import Additive Manufacturing technology to Europe and Italy and develop Windform® family of materials, some of the international market’s most high-performance laser sintering materials, in use for more than 20 years in the motorsport, space, UAV sectors. The automation and digitisation of healthcare supply chains will drive the development of future pharmaceutical supply chains, according to a report by DHL. The report identified six transformational trends that would affect future healthcare supply chains: big data analytics; the internet of things; healthcare on demand; robotics and automation; augmented reality and additive manufacturing. The report states that big data will allow healthcare providers to make more informed decisions about the management of their operations by connecting all members of a healthcare system and combining data. This helps better predict demand and can cut cost and improves efficiency in Life Sciences logistics and supply chain operations. Additive manufacturing will be used for large-scale production in the aerospace and defense industry under a newly announced collaboration between Dassault Systèmes and Airbus APWorks. Dassault Systèmes are leaders in 3D design software, 3D Digital Mock Up and Product Lifecycle Management (PLM) solutions. Airbus APWorks is a subsidiary of Airbus and has customers in robotics, mechanical engineering, automotive, medical technology and aerospace. APWorks has previously used 3D printing to make functionally integrated and optimized parts with reduced weight and lead time. The announcement comes as the aviation industry gathers in Le Bourget for the Paris Air Show.